Americans rely heavily on their health insurance providers. 1. Can You Claim Dental Crowns for a Tax Deduction? Stem cell procedures have the potential to bring radical healing to people with autoimmune disorders, multiple sclerosis, certain types of cancer, heart disease and many other conditions. Those requiring such procedures, however, must find creative ways to pay for them. What they need -- in addition to the treatment -- is health insurance that covers it. Stem cells are simple cells that, once engineered in the body, turn into blood, bone and tissue cells. Stem cells can be harvested from one part of the body and moved to another diseased part to regenerate healthy cells. Most stem cells are safely taken from the bodies of adults and redistributed. A more controversial practice removes stem cells from human embryos. This procedure has not won legal cases on a broad-based scale and is no longer considered viable by a significant portion of the medical community. Most stem cell procedures are not covered by health insurance plans. 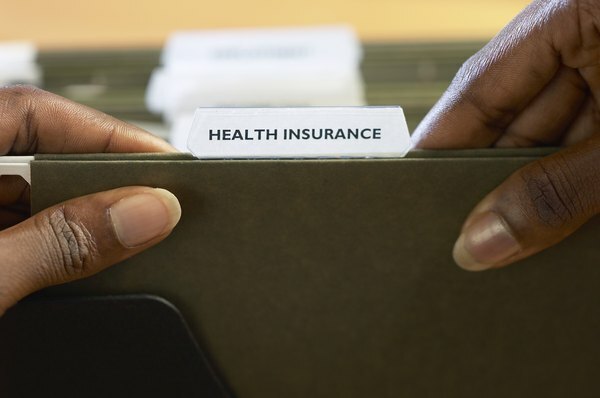 If a procedure is not approved by the Food and Drug Administration, chances are significant that health insurance plans won't cover the procedure. Some stem cell procedures for certain conditions in which blood has been obtained from umbilical cords have been approved and may be covered by insurance. Bone marrow transfers for diseases including sickle cell anemia are procedures that have been approved for decades by the FDA. Because so few stem cell procedures have been approved in the United States, patients travel to other countries in search of healing through alternative therapies. The FDA advises against trying these therapies, which often are not sufficiently clinically tested. Many of these therapies are conducted at unlicensed treatment facilities. Patients need to consult their regular doctors and specialists who are familiar with their cases before trying any alternative treatment therapies. The best course of action for any consumer who is considering a stem cell procedure is to contact his health insurance provider before any formal treatments are conducted to ask for preapproval of insurance coverage. A patient's medical history, the health provider's legal position and the exact nature of the stem cell procedure need to be examined before a coverage determination is made. Each case is unique, so each patient should submit an application for preapproval. Brian Stankich began working in banking and insurance after obtaining a Bachelor of Science in economics from Purdue University. He later directed an international NGO in southern Europe and has certifications in skills and development training and coaching. Can a Gym Membership Be Considered a Deduction for Federal Taxes?